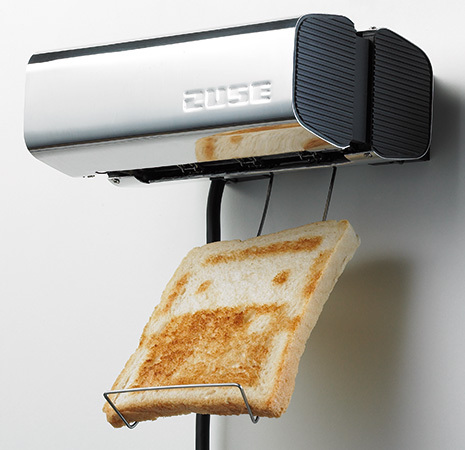 The Zuse toaster from Inseq Design is not appearing on this blog only because it can recognize the presence of bread and then burn designs into it using matrix printer technology. No. The real reason is that the owner of this particular toaster chose to design and toast the likeness of perennial "Amazing Beards" favorite Ernest Hemingway. Clearly, Ernest is either in the midst of speaking out of the side of his mouth or exhaling cigar smoke. I thought it was a ghost from pac-man. upside down it looks like a convertible car with one person driving it going into a tunnel.